Does The Remington HyperFlex Make The Cut? No pain, no gain! It’s the ultimate expression of manliness, right? Not really – in fact, a poor quality electric shaver will diminish your rugged good looks, leaving you covered in nicks, redness and irritation. Stop suffering through such indignities, and get your hands on the Remington XR1330 Hyper Flex Shaver – it provides the ultimate in closeness and comfort. Pivoting, flexing head and twin track blades provide a close shave. Wet or dry operation for maximum comfort and convenience. Included ComfortTrim detail trimmer lets you finesse your style. Rechargeable battery provides 60 minutes of cordless operation. Charges fully in four hours; features 5-minute quick charge mode. LED indicator displays power status. Includes charging stand, 2-pin plug, travel pouch and 2-year guarantee. Remington’s XR1330 HyperFlex is strong and gentle – it’s carefully designed to plough through the toughest stubble, yet glide smoothly over skin, preventing uncomfortable and unsightly irritation. 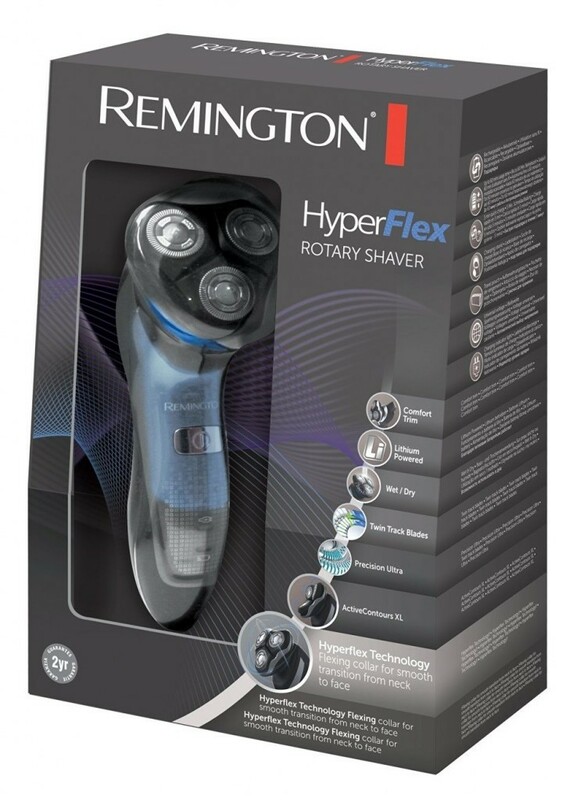 Remington invested heavily into researching and developing its HyperFlex technology – a design that deviates somewhat from that of conventional rotary head shavers. 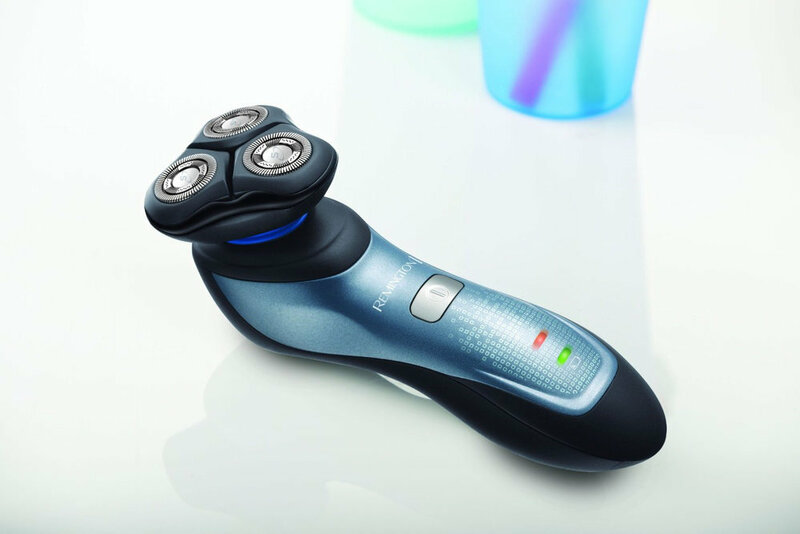 The XR1330’s three shaving heads don’t just rotate – they pivot and flex, while the “neck” – the portion of the shaver to which the heads are attached – works in tandem, rotating a full 360 degrees. 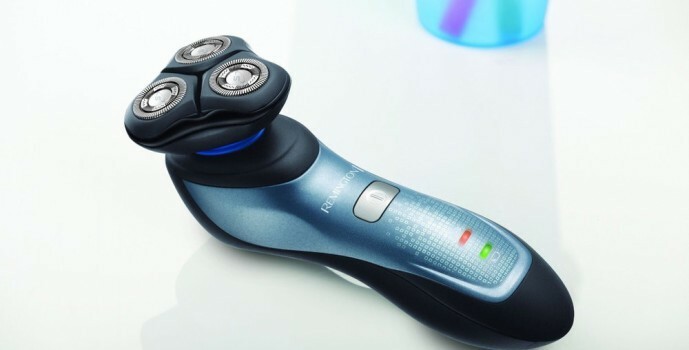 It’s a unique take on rotary technology, and allows the shaver to glide smoothly from face to neck, following the contours which prove problematic for lesser shavers. …are not the words you want to utter whilst shaving. Fear not – an Active Contour system automatically adjusts to every angle of your face, allowing you to shave closer, faster, and with greater comfort than other Remington rotary shavers. In fact, Remington claims a fifty percent improvement over older designs, and though I can’t quantitatively verify such a statement, I can certainly say that the XR1330 provides a quick, irritation-free shave every time. Modern technology is amazing. 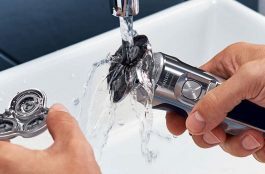 It’s brought us fantastic innovations, many of which we take for granted – like waterproof electric shavers! Mere decades ago, bringing an electrical appliance into the shower would have been downright dangerous. Not anymore – Remington has completely waterproofed the XR1330 HyperFlex, making it possible to shave and shower at the same time. Whether used wet or dry, the XR1330’s cutting technology is up to the task of tackling even the toughest, hardest to reach facial hair. PrecisionUltra cutters are a hybridized approach to hair capture, catching short hairs in small holes, and longer hairs in slots – which means that no hair is left uncut. 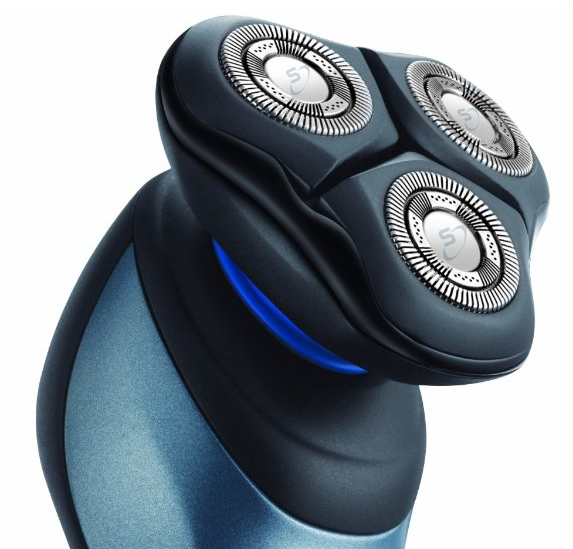 And each of the HyperFlex rotating heads contain not one, but two, rotating blades, which spin opposite to one another, for the closest possible shave. Perhaps you don’t always want to be clean-shaven, and would rather maintain a short beard. The integrated, pop-up ComfortTrim Detail Trimmer is perfect for such occasions. Its diminutive size makes it easy to manoeuvre, and the finely-spaced, round-tipped teeth were designed to cut close while maximizing comfort. The HyperFlex electric rotary shaver is powered by lithium batteries – they weigh less, last longer and perform better than previous-generation nickel metal hydride technology. Four hours of charging provides fifty minutes of runtime – plenty for a full week’s worth of shaves. The built-in LED indicator light displays the charging status, and a five-minute quick charge function allows you to top up the battery in case it’s run low – though I’ve never encountered that problem, thanks to the included charging stand. It isn’t just a convenient place to dock the XR1330 when not in use; it keeps the battery full and the shaver ready to go. I like Remington’s take on the charging stand – many shavers include a travel pouch, which is certainly convenient, but the HyperFlex’s stand is the travel pouch – it prevents the shaver from being accidentally switched on, making it possible to toss it in your luggage without any concern over inadvertently activating the motor. If I could sum up the Remington XR1330 HyperFlex in two words, I’d say, “Try it!” It’s attractively priced – matching or surpassing the performance of a number of other similarly or higher-priced electric shavers. It feels great to hold and use, and the research Remington poured into developing a close-cutting yet comfortable shaver is clearly evident.